... That would be very satisfying. 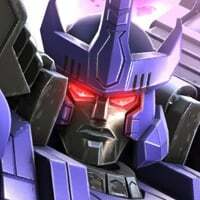 You guys get the old 6 Exclusive Mods (Transwarp Cell, Superconductors, Prime Module, Tech Console, Scout Sentry) to the normal Premium Mod Crystal, similar to the monthly Bot Crystal updates, and get 6 new Mods in the Exclusive Mod Crystal. By next year, you guys add those 6 new Mods to the normal Mod Crystals and add 6 new to the Exclusive Crystal, and so on. This will result in 6 old Mods update and 6 new Mods every year, which is half the total of Bots released every year. Do you guys see this appening in the near or far future? 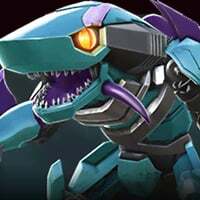 The latest update notes in Android say there will be a special holiday event with a chance to own Bumblebee. Oh boy, another chance at a bot that's just this game's darth vader. Guess you couldn't go a whole day without mentioning Warpath. Would you really put it past me to not go a whole day without mentioning him? My wishlist is compensation for the bug at the beginning of the month that left a bunch of players unable to play for almost 2 weeks. Oh yeah and for Kabam Support to email me back at some point as it's been 4 days now. How likely is this wish to come true? For christmas, I'd like a five star crystal, a four star G1 Bumblebee, and a duped-four star Jetfire. Dear Kabam: hire some competent coders. -A little less love to MCOC and more love to this game. That way the love would be perfectly balanced. Like all things should be. -Slag it, just give me Predacons, and I mean the better ones from Beast Wars. 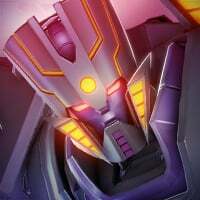 - Rampage: Tank Mode is a better heavy attack rather than his crab form. Pre-Transmetal design. I like the simplicity of it (Transmetal is too spiky for my taste) and the fact that she has 8 machine guns! Also, she would be a Predacon. -Rampage could be a Triple-changer. -I think we could both agree on the fact that Tarantulas should be in his Transmetal form. I second the T2 Alpha. I have enough T3 class sparks and T3 basic sparks (full to be exact) but can't even get close to the number of T2s I need. So can we get instead of 2 - 5 packs of T2 Alpha spark in raid shop, this way we will need to raid to get them all. The other way is to keep them 2, but instead of x250, make them x500. What level of am do you guys do? Between spotlight and am I always have 2 or 3 t2a sparks about to expire.